Robust and versatile, Lexmark's C772dtn colour laser gives you a rich range of possibilities, including high-yield 15K cartridges, advanced finishing and up to 3,100-sheet input capacity. 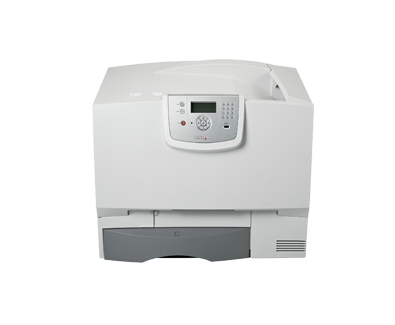 To keep up with your constantly growing business needs, the Lexmark C722dtn offers a wide range of flexible options for both today and tomorrow. This includes StapleSmart finishing, automatic duplex printing, and stackable input drawers to reach a massive 3,100 sheets!